Many thanks to our colleague Gordana and her brilliant idea for the restaurant’s name that successfully points out everything that makes us what we actually are. This particular name was given in order to preserve the memory on what this place used to be. Once upon a time, private imperial baths laid here. The name Para di šoto is in correlation with two important subjects. First one is the baths’ floor heating system hypocaust (the steam coming up from the underneath) dating from the 4th century. The second part of the name motif is a local dessert called paradižot – an Intangible Cultural Heritage, as declared by Croatian Ministry of Tourism. The idea was to combine a part of Roman history along with something unique related to our cuisine. 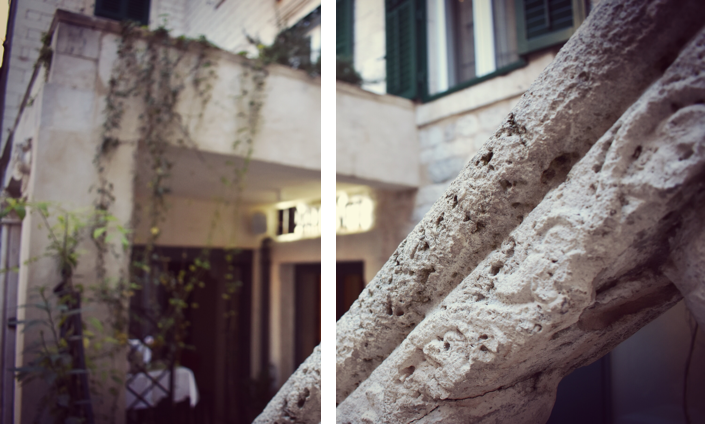 Para di šoto is situated in Diocletian`s palace within the area that was imperial spa, dating from the 4th century. 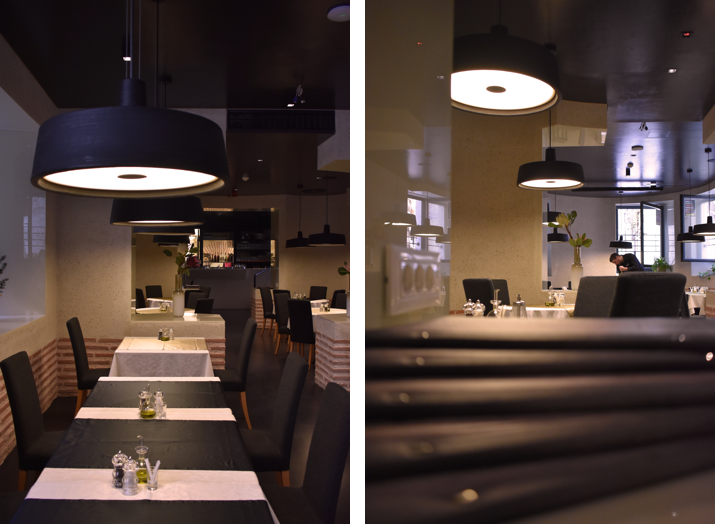 The restaurant enriches the ground floor of Hotel Slavija, the oldest hotel with a beating heart inside the palace. Our intention was to create a magical symbiosis of ancient times and modern interior featuring minimalism design to express true value and beauty of centuries behind us. With respect to Roman legacy, some of the archeological remains are still visible inside our premises. 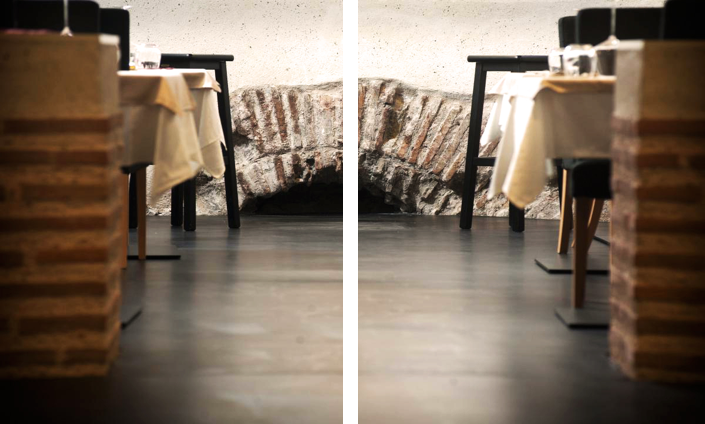 Restaurant Para di šoto was built over the imperial Roman baths, dating from the 4th century, within the walls of Diocletian’s summer house. These baths were probably reserved for the Emperor Diocletian and his male entourages and not for the Empress. Such an arrangement certainly reflected the Roman tradition of separation of sexes in baths. 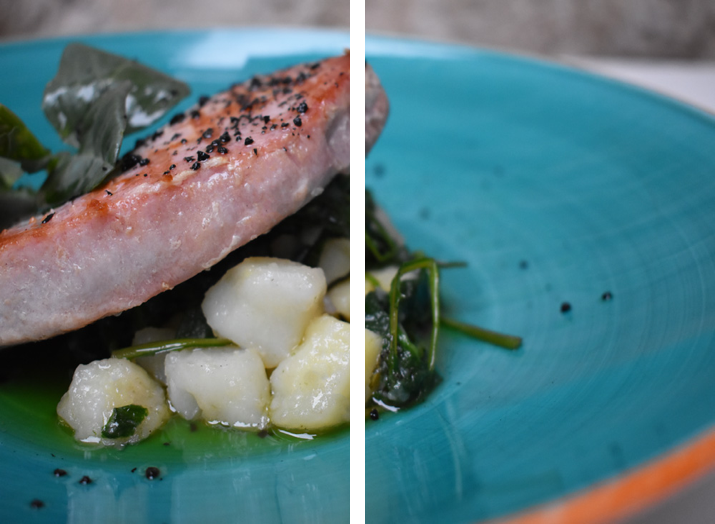 All our dishes are made in Mediterranean spirit with great respect to Croatian autochthonous cuisine. We are using only homegrown and fresh ingredients, most of which are handpicked from our garden placed only 10 minute walk from our restaurant. The word describing people of Dalmatia is “take it easy” or in Croatian “pomalo” and we respect that way of living in every aspect of our lives, especially in our kitchen. Taught by our parents and grandparents, we love to make slow food as much as we enjoy in our slow way of life. Our dishes are prepared with lots of love and patience but never the less we do not forget to follow culinary trends. Traditional recipes, modern presentation techniques accompanied with chef`s personal touch lead to creating tasty pieces of art.